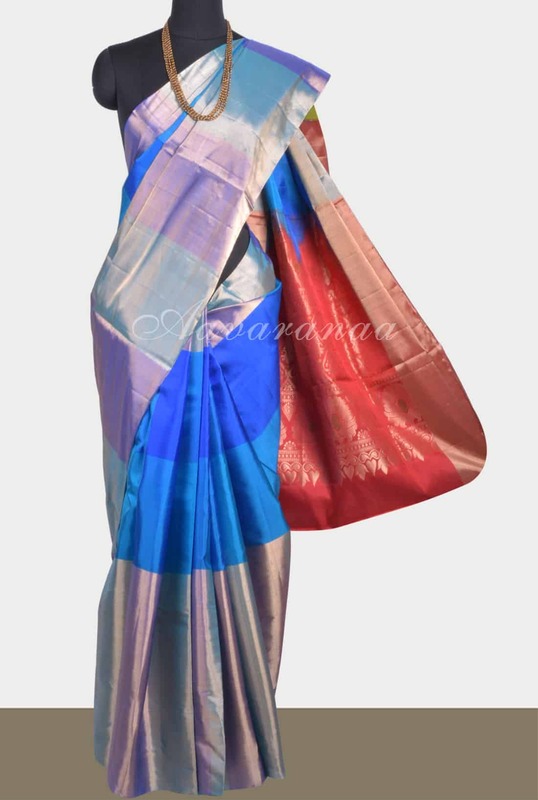 Blue and dark blue saheds woven in horizontal divisions,with a tall zari border on one side and a shorter border on the other. 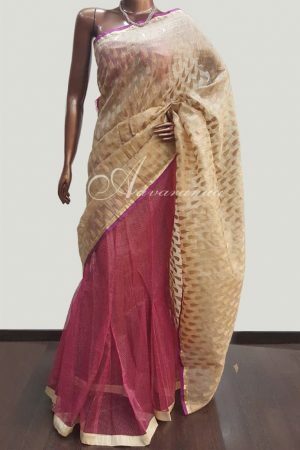 The saree is pure silk. 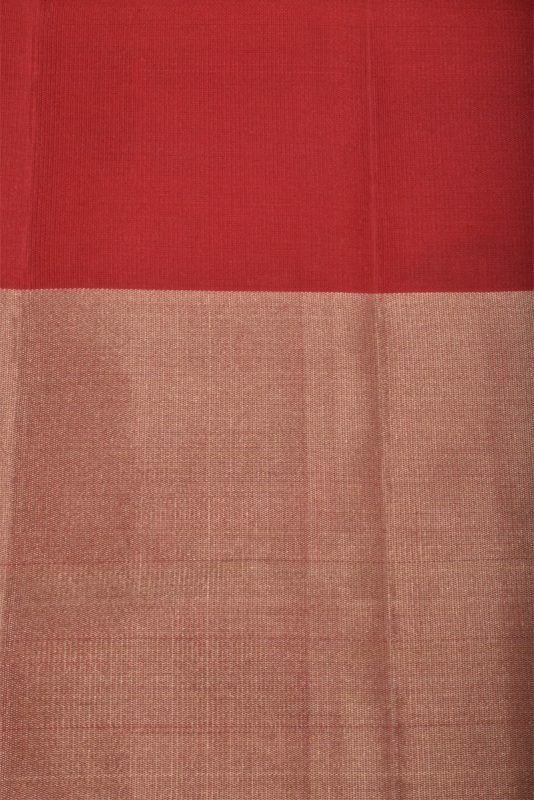 The pallu is contrasting red silk with zari weaving.